The aim of Crathie Opportunity Holidays (Scottish Charity No: SC027590) is to make it possible for everyone to be able to find suitable accommodation of the highest standard to enable them to enjoy a holiday in this most beautiful part of Scotland. In order for us to maintain the high standard of facilities, equipment and service we provide it is essential for us to continue fundraising. 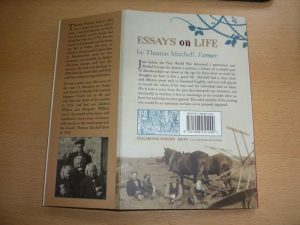 A series of articles written by our Director Sheila Harrison’s grandfather in the early 20th century. Sheila and her family have kindly donated the royalties to COH. 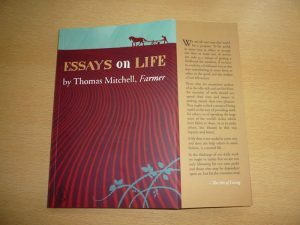 We have copies available for £10 including P & P and you can order it here. Ten monthly draws, re-starting in March 2016. Download a copy of the rules and and an application form here. Tickets for 2016 must be purchased before the end of February 2016. Find out the winners of previous draws here. These beautiful greetings cards feature photographs of the local area and are available in packs of 4 for £3. Please specify if you would like 4 the same or a selection in your pack. Please email us to place an order.